C. Kelly Smith, owner of Tahoe North Realtors is one of the top agents in the country for Century 21, but what makes him love his job? What drives him to be the best? What makes Kelly’s approach to listing your Lake Tahoe home the most beneficial for you? This blog will take a more personal look at the leader of our team here at Century 21 Tahoe North and explain why he is the agent you can count on to take care of your real estate transaction. Q: Why did you become a real estate agent? I truly enjoy finding clients the perfect property in Lake Tahoe. Every home is unique in the area and finding the perfect place is not always easy. It starts with getting to know your client’s needs, wants, and goals for the property they are purchasing. Once the clients share those thoughts with us, we have a framework for what to look for and where to find it. It sometimes takes years to come up with the perfect Lake Tahoe home, but whatever the time frame, my team is ready, willing, and able to put forth the effort to pull this off. Q: What are your hobbies outside the office? I enjoy fishing, hunting, golfing and skiing along with almost all outdoor activities both in the Lake Tahoe area, and surrounding areas. Q: What is your favorite type of client? We enjoy working with all different types of clients, whether it be a first time home buyer, or a savvy real estate investor. Our local knowledge of the market and ability to educate the potential client is what differentiates us from other real estate firms. Q: What is your workplace passion? Passion is something we strive for in whatever we are doing. Working in an area that makes you happy, and is part of your unique ability makes the experience unparalleled. So for me building a relationship with a client while educating that client on different aspects of the real estate transaction are definitely part of my passion. Q: What is your favorite restaurant in the Tahoe area? My favorite Tahoe restaurant is Garwoods restaurant located in carnelian bay on the water with stunning lake and mountain views. It has a wide variety of specialty dishes with an emphasis on California cuisine. I enjoy the large lakeside deck with incredible views both summer and winter. Q: What is your favorite community in Lake Tahoe? My favorite community in Lake Tahoe is Sunnyside/Tahoe Park. The west shore has a very forested setting with great access to the lake. A little slower pace mentality and a more rural type setting. Great morning sunrises and awesome evening sunsets in the summertime. Q: Let’s hear your buyer tips. Biggest tips for buyers is to hire an agent you trust and communicate with easily. Its important during a real estate transaction to have many conversations with your agent, so it needs to flow easily. We strive to make all clients lifelong friends and want to have an ongoing relationship long after the purchase of a Tahoe property. Q: Great Advise, What about seller tips? Sellers should also trust there agent, but also follow advise if at all possible. Being an expert in the Tahoe market allows us to share 27 years of experience with our sellers, and hopefully makes the sale process more timely and seamless. If the market is moving in a positive direction an educated client can take advantage of opportunities while selling, so an agent plays a crucial part on assessing market condition which can only be done when they are actively in the market and watching trends take place. Q: What are your predictions on the 2018 Lake Tahoe Market? 2018 will be a strong market with GOOD APPRECIATION … we have a 10 year low in inventory and a solid demand. These simple economics along with a strong bay area employment outlook will drive this market to all-time heights over the summer of 2018. Q: What do you think is the #1 mistake that buyers and sellers make? Number 1 mistake made by buyers and sellers is not trusting their agent. It takes complete and total faith in the agent that is hired to benefit from the knowledge that they possess. If you have a qualified agent the information and market knowledge is something that will benefit the client immensely. There you have it, readers! 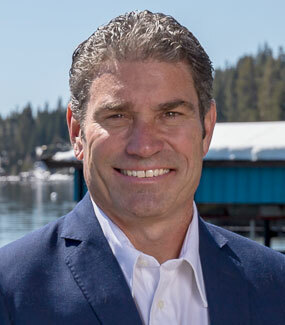 C. Kelly Smith and his team strive to ensure that your search for real estate in the Lake Tahoe area will be as effortless as possible. Communication throughout the buying and selling process is at the top of our list. We have an elite group of experienced and active salespeople. Through effective teamwork and our outstanding performance, we make sure we accommodate and accomplish all your goals timely and efficiently. We’re proud of our reputation as a team of hardworking and friendly professionals that are committed to serving you with honesty and integrity throughout your entire real estate experience. If you are interested in buying or selling your Lake Tahoe home please give us a call so we can answer any questions that you may have and take care of your real estate needs.